View Poll Results: Which one do you like most? I've taken one city from each region of the USA. You'll notice that all of these cities have a pretty battered reputation. But I wanted to make a thread to talk about what each of them have to offer on the positive end. I have been to all of them besides Baltimore. I have been to Washington DC, but never out to Baltimore. So I'm a bit curious to see what it's got going on. By the way, all of these cities (besides Oakland) have been a top 10 US city before by population. Let me get those numbers out there. And how they ranked in the top 10 cities census list. Notice how all of them are port cities, some of the main ports for their respective regions. Yes Detroit is also a port city, in case you didn't know. Lol. Now I want to do a comparison without people throwing Washington DC & San Francisco/San Jose in this. You can talk about how the location to those cities is beneficial, but I don't want to see people throwing out statistics and numbers for GDP for CSA's and whatnot... let's stick primarily to city on city comparison with some of the immediate suburbs. Here's my question and the theme to answer for these cities: what are some unique things about any of these cities or even one of these cities (if you don't know about the others)/what do they have to offer today? How do you feel about these cities? Do you feel these cities get an overplayed bad reputation or do you think it's deserved? You can use any criteria to answer the question, like education (universities/colleges), food, architecture, Fortune 500 companies, history, Music scene, art scene, museums, whatever comes to mind etc.... be creative with the criteria- I'm allowing you to come up with criteria on your own for once instead of giving some out. I've been to three of those cities (Detroit, Oakland, & New Orleans) and really people over hype the negative qualities for all those cities. I found there to be a lot of nice things about them all. I have not ever been to Baltimore, but I have heard the Inner Harbor is worth seeing, and that it's one of the best cities in terms of architecture. Then again so is Detroit. 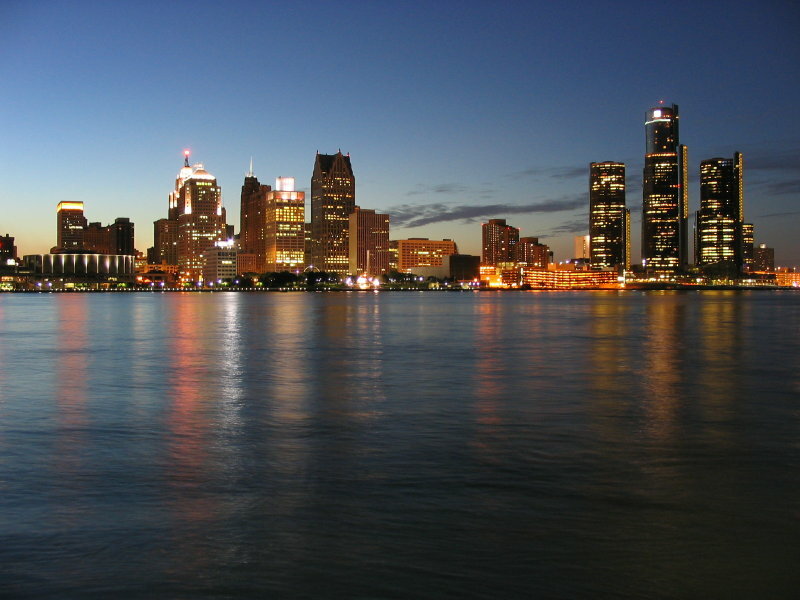 As for skyline, I think Detroit has the best one from what I've seen. Oakland, Baltimore, & New Orleans have a similar sized skyline and all of them have water access nearby. I find it a bit strange after looking at this post that one of the cities at their peak was the 2nd largest city in America, another at it's peak was 3rd largest city in America, and another was 4th largest city in America... that's a bit strange for a random sequence, I just picked these cities randomly. All of them besides Oakland seem to have that sequence in this regard. 2,3,4- nice sequence from three different cities from completely different US regions... makes me wish that Oakland had been 5th at some point just to keep the sequence going for this comparison. Last edited by DANNYY; 07-09-2010 at 05:21 AM..
Great topic OP. I agree with you, all 4 of these cities have been heavily negatively stigmatized and ostracized. Oakland, Baltimore, and to some degree Detroit lie in the shadows of bigger metros, San Francisco, DC, and Chicago respectively. In terms of the most urbanized I think its a tight dogfight between NOLA and Oakland. From what I've seen of Oakland it is just developed land everywhere, kindd of impressive. But I hear NOLA is one of the nations most urbanized cities. The only city that I have been to is Baltimore, and boy is it impressive for a Southern Norheastern city (sorry Omshahi, I had to do it). It is doing some impressive stuff to catapault its image. Something else about these cities, which is ironic at best. All four have a significant African-American population and/or have historically been home to influential African-Americans. I've been to all but Detroit. I was actually fascinated at the fact that all four of these come from 4 different regions respectively, and how all of them bring so many similarities to the table. "Yeah South Side Chicago can be pretty bad, but hey we're not Detroit bad". "Yeah San Francisco is beautiful, I don't know why people would live in the slums of Oakland". "Why would you want to live in a city below sea level, it has nothing going for it, wasn't New Orleans sunk already?" "Washington DC might be dangerous in some areas, but take a look at Baltimore first and then tell me would you rather live in a bad area here or in Baltimore?" Things like that are just plain idiotic and entirely untrue for the generalization of the whole city. - Stated earlier that all are major port cities for their region but all are the 2nd largest port cities in their regions respectively. Detroit 2nd largest after Chicago (Midwest), Baltimore 2nd largest after New York City (Northeast), New Orleans 2nd largest after Houston (South), & Oakland 2nd largest after Los Angeles (West). I like all of these cities a lot, but I romanticize Detroit the most. I constantly think about what could be done with it in terms of urban planning. Oakland and Baltimore are part of areas (Bay Area/coastal California; DC CSA/BosWash) that will help drive their development while New Orleans has such a long legacy that it seems to be secured a place. Really now, let's all pack up for Detroit. Move yo' industries. In my opinion, there will be a point sometime (hopefully soon) that these cities all pick up and stabilize. I'm for the pact, as long as its not just you and me moving to Detroit. I would really like to see Detroit get back and stabilize and improve its infrastructure and clean up. Michigan for the first time in god knows how long this month created more jobs than it lost, went into a large surplus. Oh, believe me, I'm trying to get more people to commit to a five year plan. There's a lot Detroit can have going for it. It has good bones and cheap real estate right now, the auto industry of America looks a lot less moribund than it did even from even a year ago, and Detroit's got a (musical) legacy and a classic skyline that's hard to beat. It also has room for expansion in its pretty nice airport (for a stab at the aerotropolis concept), and with enough push, maybe a connection to Canada's version of the northeast corridor (the Windsor-Quebec City line with Windsor just across the river). Michigan's also got a hefty tax break for the film industry which is a pretty fluid industry and Detroit needs to bank on. Transportation, cheap real estate, film, and music. That's a good foursome there. wow, this is a tough one. It is a toss up between Detroit and NOLA for me with Baltimore close behind.